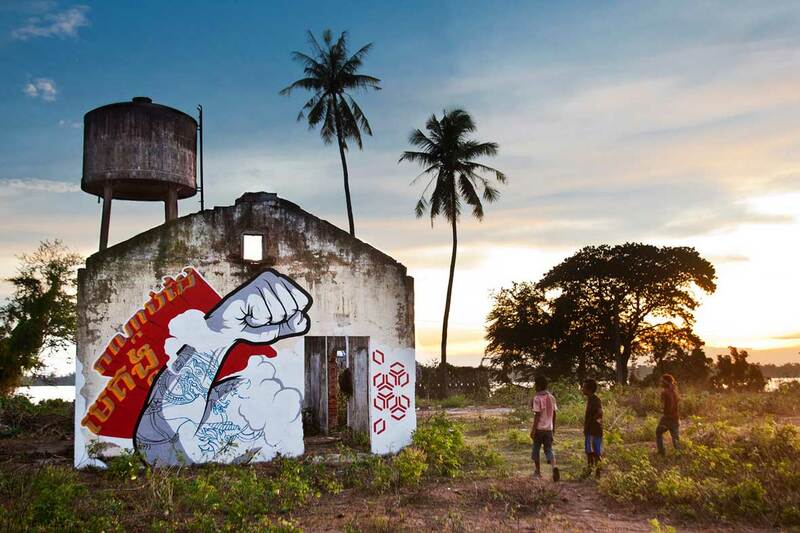 Upon his arrival in Cambodia, Chifumi Tättowiermeister discovered a developing contemporary street art scene in the capital of Phnom Penh. 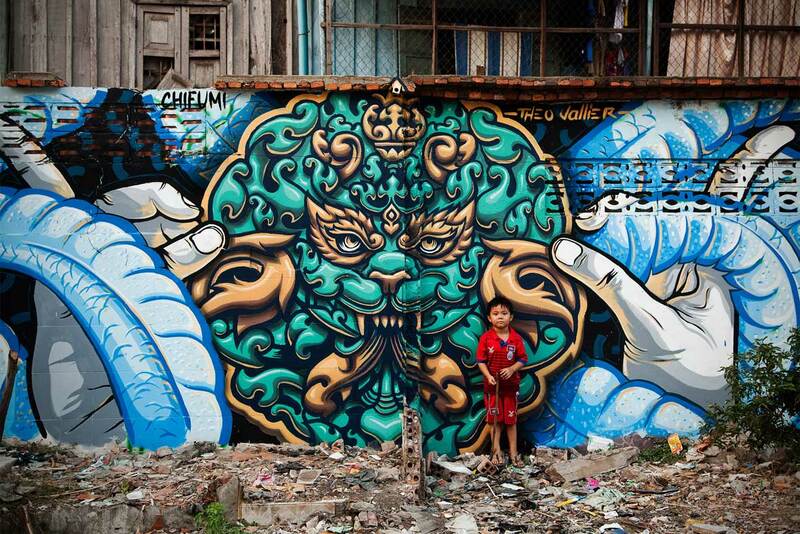 In the last four years, he has become a willing pied piper for young budding Cambodian street artists. 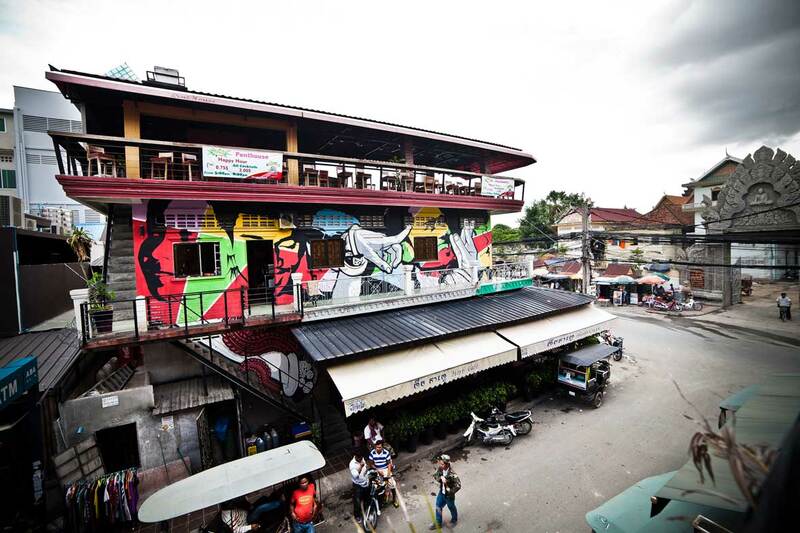 Whilst there are no specific laws specifying that street art is illegal in Cambodia, murals are often whitewashed and painted over, even if artists had previously attained permission from the local city hall. 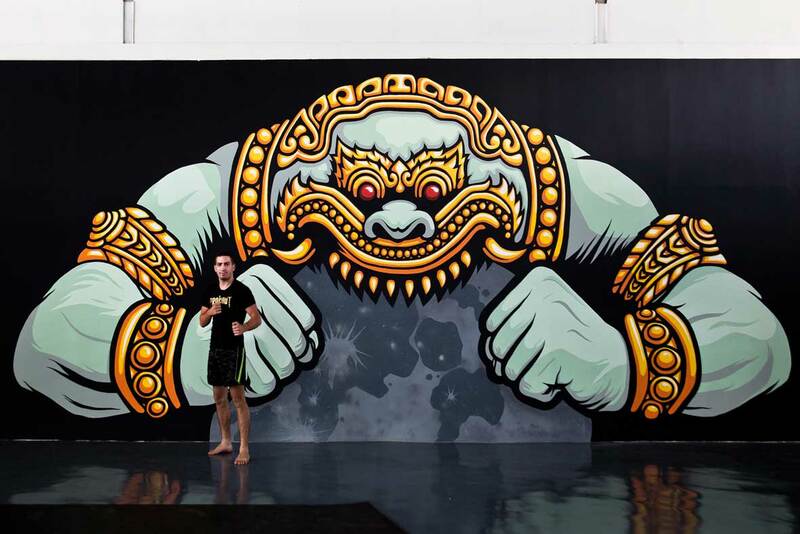 In recent years, local government bodies have become more receptive to street art, especially if they’re promoting traditional Khmer culture or positive social messages. 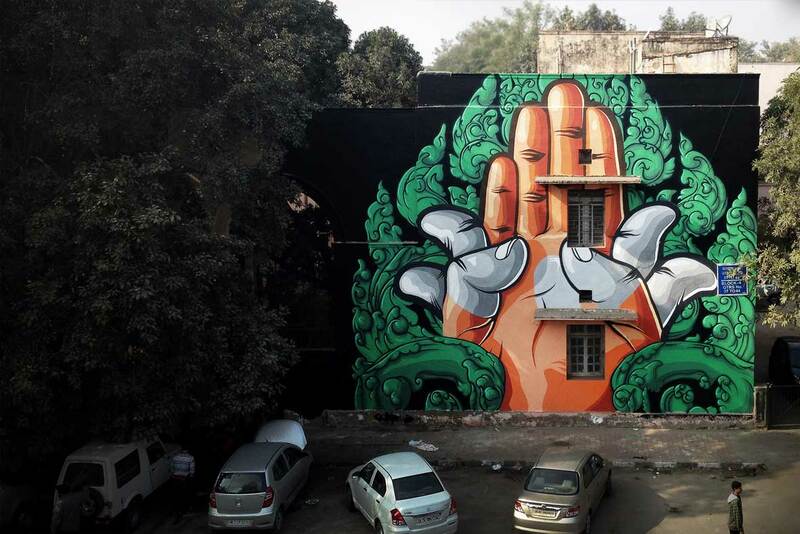 With this in mind, Chifumi draws inspiration from the local Cambodian society for his eye-catching murals that boldly celebrate the colours and culture of his new found home. 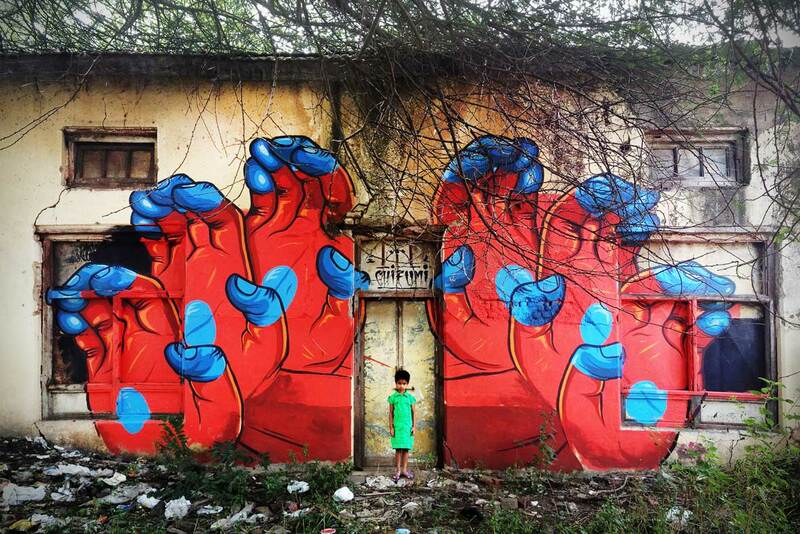 Neocha caught up with Chifumi recently to learn more about his current projects and his involvement in this year’s Cambodia Urban Art Festival. 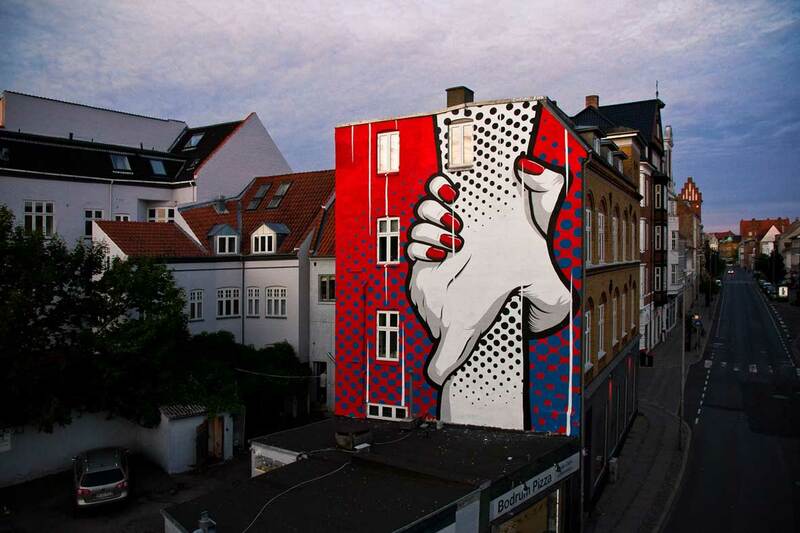 Neocha: What is the creative process behind your amazing murals? Chifumi: Whenever I’m out looking for a wall to do my next mural, I pay attention to every detail. For me, the social and cultural background of the city in which I’m painting in is just as important as the architectural space itself. I always create a sketch before I actually start painting; it is always as if the local context of each city feeds into my work. Living in Southeast Asia allows me to incorporate local mythology and culture as graphic elements in my work. 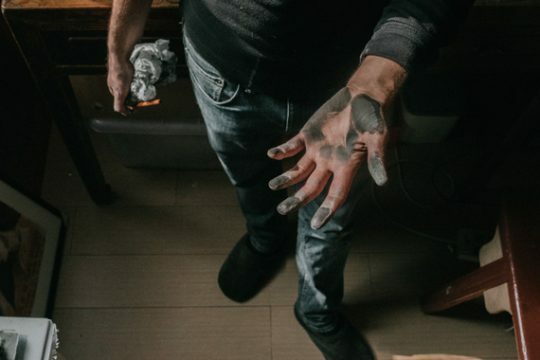 I’m always on the road, so I usually have water-based acrylic paint with my own brushes and rolls handy – it’s not always possible to find good quality graffiti spray cans where I am. Neocha: What brought you to Cambodia? What drew you to the art scene here? Chifumi: Four years ago, I started a project for a French media platform that documented my journey from India to Australia and I continuously made art along the way. Unfortunately, before its completion, the project came to an abrupt end whilst I was traveling through Southeast Asia. I have been living in Cambodia ever since – it was a difficult time, but I still have so many great memories about my arrival in Phnom Penh. There was no real prominent street art scene and only a few street artists around when I arrived. So, I worked hard. I tried really hard to bring something cool and artistic to this city. Looking back now, it was a really great feeling. 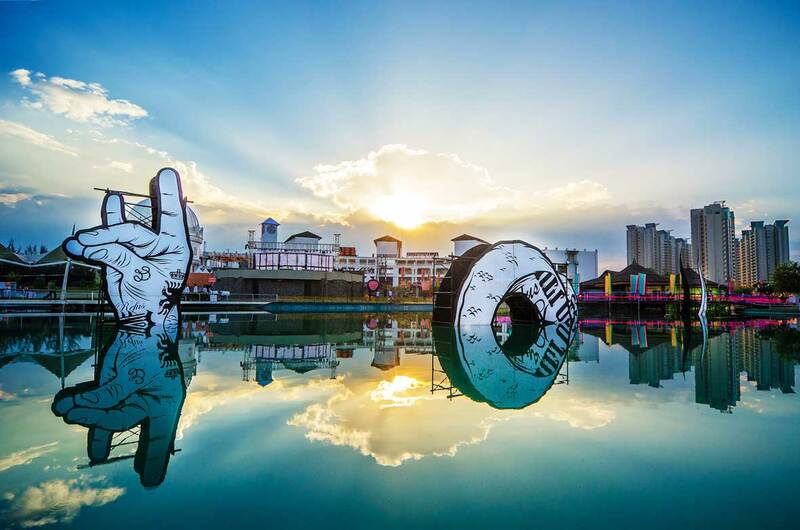 Neocha: You are the artistic director for the Cambodia Urban Art Festival 2016. What was it like to bring 14 artists together to showcase their work across Phnom Penh? 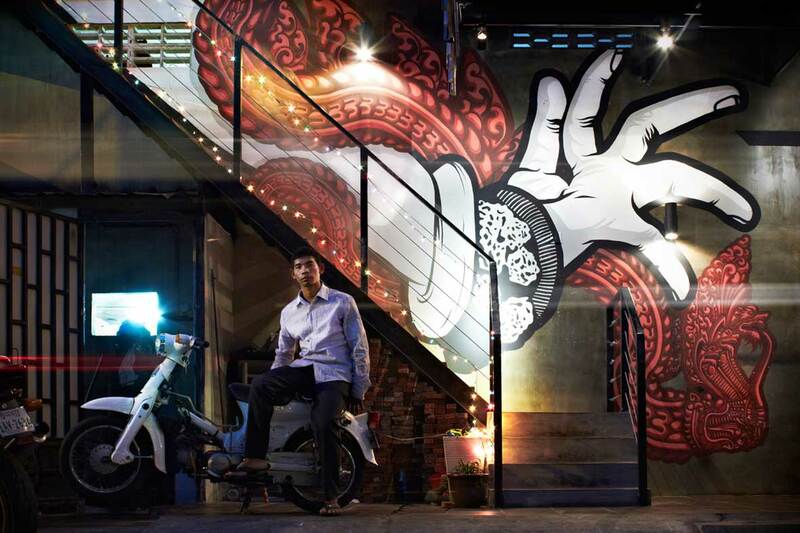 Chifumi: After residing in Phnom Penh for the last few years, I was determined to unify the graffiti and street art scene here, and I thought that the best way to do it would be to create a fun event that gave Cambodian youths a rich insight into this artistic culture. So, I decided to bring local artists and international painters together; the festival included artists of ten different nationalities and we hoped they would bring some fresh colours into Phnom Penh. It was so important for us to reference the local culture and context in these projects; once all of the murals were done, we organised a tour across the city with 50 free tuk-tuks. We even had a few local hip-hop artists performing at some of the venues; I’m elated that this project happened and I truly think that the Cambodian youth were really able to gain something from it. Neocha: លោកគឺជាប្រធានផ្នែកសិល្បៈសម្រាប់ទិវាសិល្បៈខាងក្រៅនៃប្រទេសកម្ពុជា ឆ្នាំ 2016 –តើវាមានលក្ខណៈយ៉ាងដូចម្តេចដែរក្នុងការប្រមូលផ្តុំវិចិត្រករចំនួន 14 រូបឲ្យមកជួបជុំគ្នាដើម្បីធ្វើបទបង្ហាញអំពីការងាររបស់ពួកគេនៅទូទាំងទីក្រុងភ្នំពេញ? Neocha: What are some of the other upcoming projects that you have around Asia? Chifumi: Recently, I attended the PRASAD Festival in Nepal. 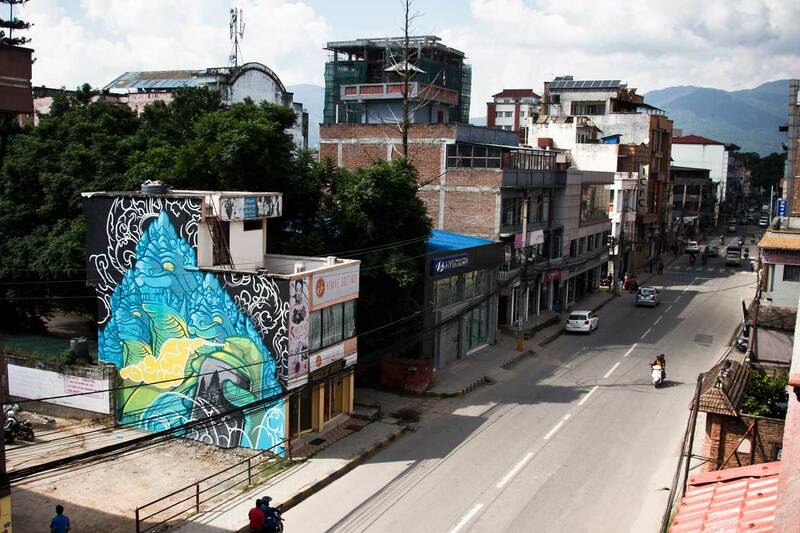 I actually painted a giant mural in Kathmandu before the 2015 earthquake, so I felt compelled to return and share some colours with the local people. 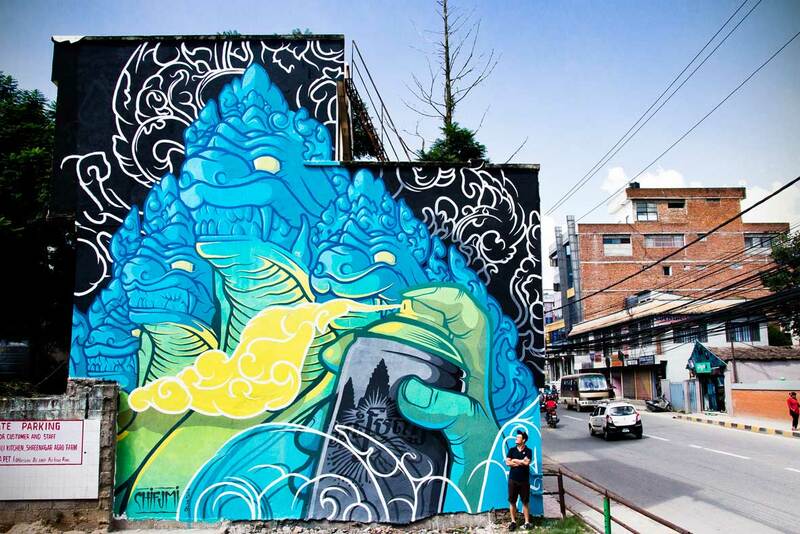 I feel like the street art scene in Nepal is much like Cambodia, as in it’s very young. But I see a lot of opportunities and hope in these artists who are working hard to develop their own style and energy. My next few projects will be situated in Pakistan, India, Indonesia and Malaysia, but I’ll also continuously working from Phnom Penh – Asia keeps artists very busy sometimes! Chifumi; នាពេលថ្មីៗនេះ ខ្ញុំបានចូលរួមទិវា PRASAD នៅប្រទេសនេប៉ាល់ – ជាក់ស្តែង ខ្ញុំបានគូររូបគំនូរលើជញ្ជាំងដ៏ធំមួយនៅ Kathmandu មុនពេលមានការរញ្ជូយដីនៅក្នុងឆ្នាំ 2015 ដូច្នេះខ្ញុំមានអារម្មណ៍ថា ខ្ញុំត្រូវបានគេបង្ខំឲ្យត្រឡប់ទៅទីនោះវិញដើម្បីចែករំលែកពណ៌មួយចំនួនជាមួយប្រជាជនក្នុងមូលដ្ឋាន។ ខ្ញុំមានអារម្មណ៍ថា ឆាកសិល្បៈតាមដងវិថីនៅប្រទេសនេប៉ាល់ គឺដូចគ្នានឹងឆាកសិល្បៈតាមដងវិថីនៅប្រទេសកម្ពុជាខ្លាំងណាស់ គឺនៅក្មេងខ្ចីខ្លាំងណាស់ – ប៉ុន្តែខ្ញុំមើលឃើញឱកាសជាច្រើន និងមានក្តីសង្ឃឹមយ៉ាងខ្លាំងចំពោះវិចិត្រករទាំងនេះដែលកំពុងខិតខំប្រឹងប្រែងអភិវឌ្ឍរចនាបថផ្ទាល់ខ្លួន និងថាមពលរបស់ពួកគេ។ គម្រោងមួយចំនួនតូចបន្ទាប់ទៀតរបស់ខ្ញុំនឹងធ្វើឡើងនៅប្រទេសប៉ាគីស្ថាន ប្រទេសឥណ្ឌា ប្រទេសឥណ្ឌូនេស៊ី និងប្រទេសម៉ាឡេស៊ី ព្រមទាំងការធ្វើការងារជាបន្តបន្ទាប់នៅទីក្រុងភ្នំពេញ។ នៅពេលខ្លះ ទ្វីបអាស៊ីធ្វើឲ្យវិចិត្រករទាំងឡាយមានភាពមមាញឹកខ្លាំងណាស់! 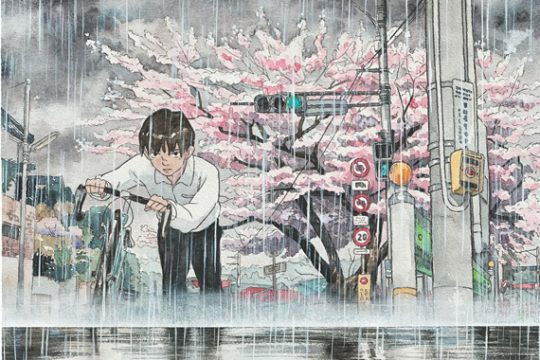 Neocha: Where do you hope that your art can take you in the future? Chifumi: I feel that every painting I do is more for myself than for the sake of being remembered. Each mural is a personal challenge that I have to surpass. 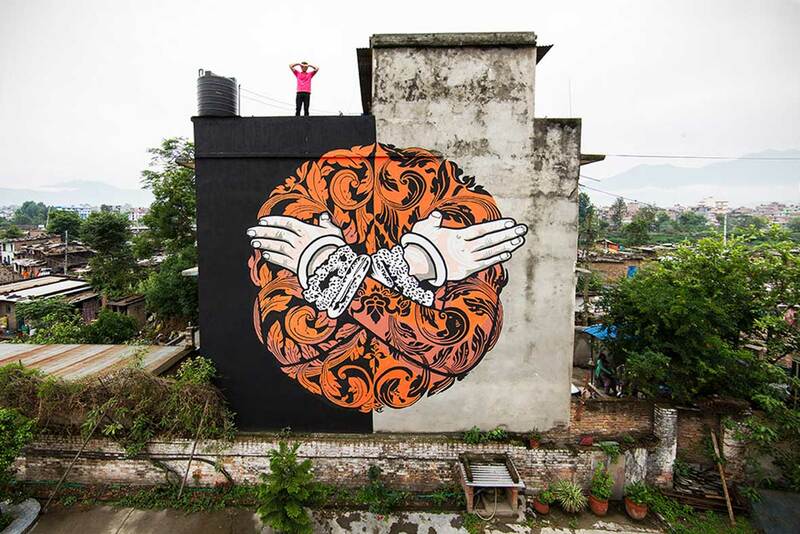 For contemporary street artists now, the lifestyle is intense. You are always invited to travel and put your mark onto many new places. All of my travels change and influence my artworks, allowing me to put different shapes and colours into play. With every new culture that I immerse myself into, it always gives me the energy to create more. I hope that my art will continue to take me on the road again and again in the future, and I also hope that my art will stay free in public spaces and won’t be locked into the cage of a gallery or museum space.